Today, of course, we all learned of the death of Osama bin Laden by Navy SEALS, the culmination of years and years of military intelligence and super sleuthing. The world of espionage is undeniably fascinating and thousands of works, both fiction and nonfiction, have been written on the topic. 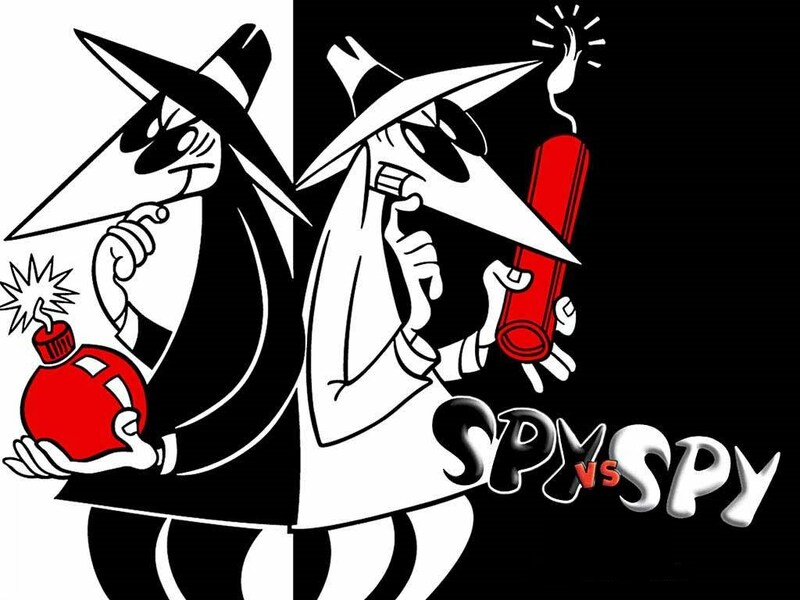 If you cannot get enough spy stories, but have been burned by some stinkers, here is a list of the ten best out there, as recommended by loyal eNotes.com Official Blog readers. 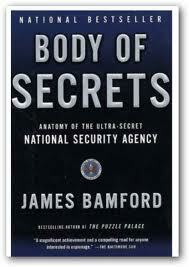 With remarkable access to highly sensitive documents and information, Bamford takes the reader from the beginnings of NSA during the early cold war, through its roles in such watershed events as the Cuban Missile Crisis and the Vietnam War, to the amazingly sophisticated developments in information technology taking place within NSA today. What Bamford discovers is at times surprising, often quite troubling but always fascinating. In his conclusion, he is at once awed and deeply disturbed by what NSA can now do: ever more sophisticated surveillance techniques can mean ever greater assaults on the basic right of individual privacy. In a computer system that can store five trillion pages of text, anyone and everyone can be monitored. Writing with a flair and clarity that rivals those of the best spy novelists, Bamford has created a masterpiece of investigative reporting. Journalist Wise…interviewed Hanssen’s case psychiatrist and thus provides considerable informed discussion about motive. Was it for the money to support his big family, the thrill of playing a dangerous game, or to get back at a never-satisfied father? Hanssen apparently walked right into a Soviet office in 1979, which leads to the question whether the CIA and FBI were watching this office-and if not, why not? The book cracks open the hard nut of American authority at the center, the uncertainty of our power–and, above all, the bad conscience that now afflicts so many Americans. 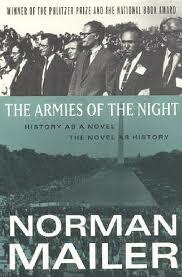 “Armies of the Night” is a peculiarly appropriate and timely contribution to this moment of the national dramas, and among other things, it shows Mailer relieved of his vexing dualities, able to bring all his interests, concerns and actually quite traditional loyalties to equal focus. The form of this diary-essay-tract-sermon grew out of the many simultaneous happenings in Washington that weekend, out of the self-confidence which for writers is style, out of his fascination with power in American and his fear of it, out of his American self-dramatizing and his honest fear for his country. 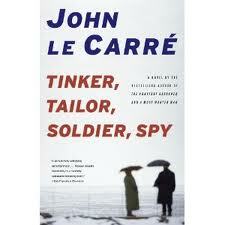 Tinker, Tailor, Soldier, Spy first appeared in 1974, is arguably Le Carré’s masterpiece and is surely one of the great spy novels of the 20th century. Loosely inspired by the career of Kim Philby, a Russian double agent who worked his way into the upper reaches of the British Secret Service, Tinker, Tailor, Soldier, Spy tells the story of donnish, unprepossessing master spy George Smiley and his quest to identify the “mole” — the deep-penetration agent — who has turned Britain’s Intelligence Service (commonly known as the Circus) inside out. (From the Barnes and Noble review). There have been several books on the Rosenberg case, none of them very satisfactory and at least two (taking diametric views of the case) quite appallingly bad. 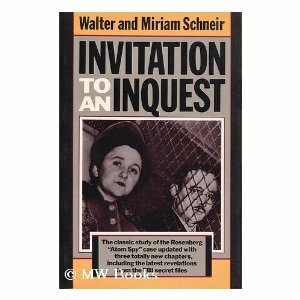 Invitation to an Inquest is in another category altogether. Mr. and Mrs. Schneir have not only examined the record with care but, going beyond the record and exhibiting the most admirable tenacity, have uncovered significant facts not previously brought to light. 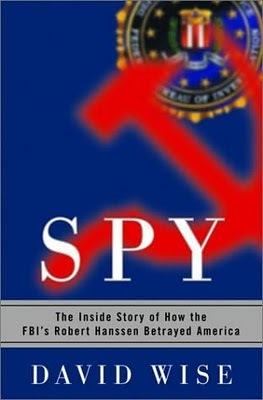 The net effect of their researches is to cast considerable doubt on the veracity of Harry Gold and David Greenglass, the principal witnesses against the Rosenbergs, and on that of Max Elitcher, who supplied the only testimony directly linking Morton Sobell to the alleged Rosenberg spy ring. If the information now brought forward by Mr. and Mrs. Schneir had been used by the defense at the time of the trial, the result might have been different. THE BOURNE IDENTITY: He has no past. And he may have no future. His memory is blank. He only knows that he was fished out of the Mediterranean Sea, his body riddled with bullets. There are a few clues: evidence that plastic surgery has altered his face, a Swiss bank account containing four million dollars, and a name: Jason Bourne. But he is marked for death, racing for survival through the layers of his buried past into a world of murderous conspirators – led by the world’s most dangerous assassin, Carlos. And no one can help Bourne but the woman who once wanted to escape him. THE BOURNE SUPREMACY: In a Kowloon Cabaret, scrawled in a pool of blood, is a name the world wanted to forget: Jason Bourne. The Chinese vice-premier has been slain by a legendary assassin. World leaders ask the same fearful questions: Why has Jason Bourne come back? Who is the next to die? But US officials know the truth: there is no Jason Bourne. The name was created as cover for David Webb on his search for the notorious killer Carlos. 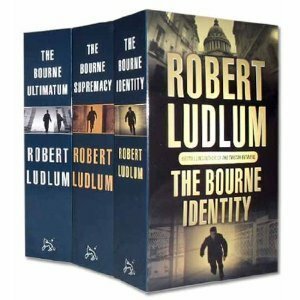 Someone else has taken the Bourne identity and unless he is stopped, the world will pay a devastating price. So Jason Bourne must live again. THE BOURNE ULTIMATUM: The world’s two deadliest spies in the ultimate showdown.Two men, each mysteriously summoned by telegram, witness a bizarre killing. The telegrams are signed Jason Bourne. Only they know Bourne’s true identity and understand the telegram is really a message from Bourne’s mortal enemy, Carlos, the world’s deadliest and most elusive terrorist. And they also know that he wants a final confrontation with Bourne. Now David Webb must do what he hoped he would never have to do again – assume the terrible identity of Jason Bourne. There were several hearty recommendations for this novel from commentors. 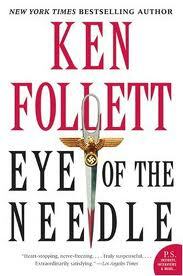 Eye of the Needle is about “one enemy spy [who] knows the secret of the Allies’ greatest deception, a brilliant aristocrat and ruthless assassin—code name: “The Needle”—who holds the key to the ultimate Nazi victory. Only one person stands in his way: a lonely Englishwoman on an isolated island, who is coming to love the killer who has mysteriously entered her life. ” Written in 1978, Eye continues to enthrall readers. Kindle to Launch Library Lending: Check Out This Year’s Pulitzer Prize Winners and More, Free! 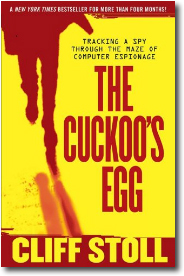 Tinker, Tailor, Soldier, Spy, I’m Cuckoo for this blog. 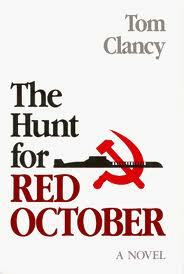 Makes my Eyes water for another super sleuth spy thriller. Read most of them, but thank you for pointing out a couple to add to my Summer reading as well. Thank you to J Wheeler, for this enticing blog and such fine coverage of some of what I consider the BEST espionage novelists..ever. Clap Clap, and Cheers! On an added note to Jamie and her readers…while never having read the true story by Robert Lindsey, one of the most memorable films in this genre was “The Falcon and the Snowman” brilliantly cast with Timothy Hutton and Sean Penn which I would encourage anyone to rent. 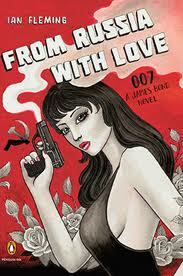 If any readers out there have actually read the book I would love to hear if the book surpassed the screenplay. Falcon and the Snowman – Super selection. Totally reommend this film.